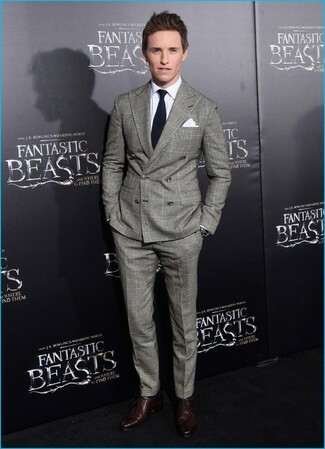 Rock a grey plaid suit with a white dress shirt for incredibly stylish attire. 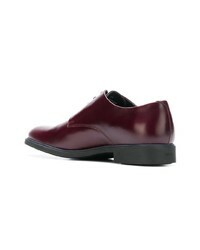 Throw in a pair of Kenzo burgundy leather derby shoes to make the getup current. Rock a burgundy double breasted blazer with burgundy dress pants and you'll be the picture of elegant men's style. Complete your ensemble with burgundy leather derby shoes to serve a little mix-and-match magic. 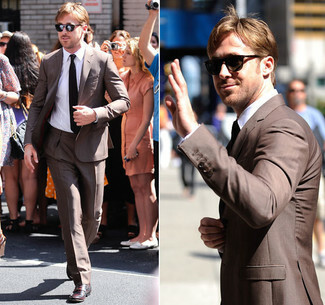 Pair a brown suit with a white dress shirt for a sharp classy look. 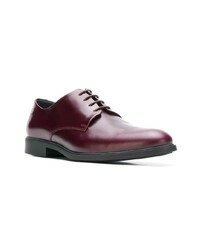 For something more on the daring side to complement this outfit, go for a pair of burgundy leather derby shoes. 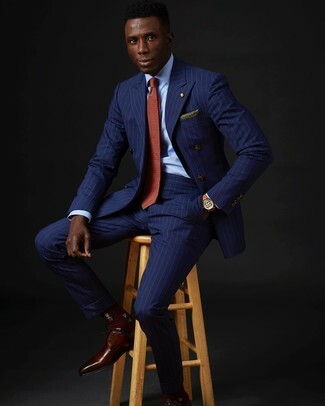 Opt for a blue vertical striped double breasted blazer and blue vertical striped dress pants to look like a proper gent. 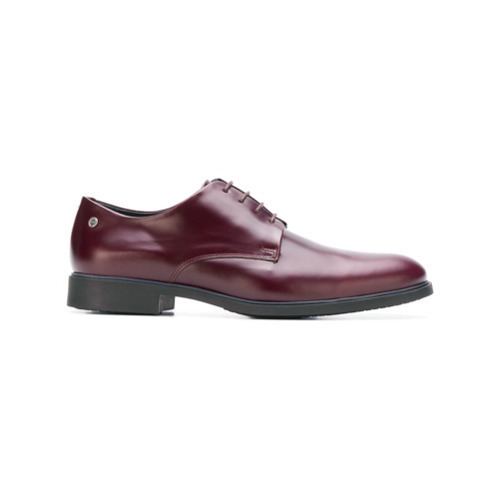 Our favorite of a myriad of ways to complete this ensemble is burgundy leather derby shoes. Try pairing a black vertical striped suit with a pink long sleeve shirt like a true gent. 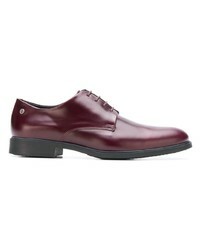 When it comes to shoes, this outfit pairs wonderfully with Kenzo burgundy leather derby shoes. For a nothing less than incredibly stylish ensemble, wear a white suit and a white dress shirt. For something more on the daring side to complement this ensemble, go for a pair of Kenzo derby shoes. 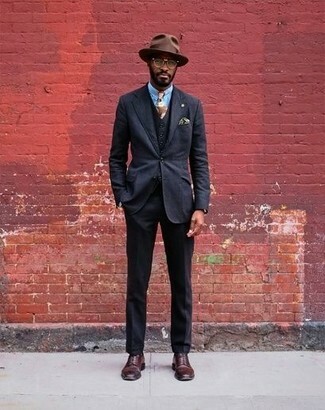 For a nothing less than incredibly stylish ensemble, try teaming a black three piece suit with a light blue dress shirt. Kenzo derby shoes will add more playfulness to your ensemble. 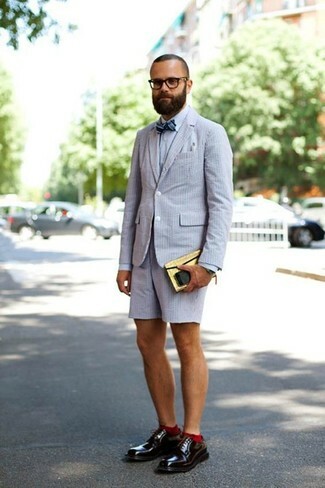 For a casually elegant outfit, rock a grey seersucker blazer with grey seersucker shorts — these two pieces play really well together. You could perhaps get a little creative when it comes to footwear and lift up your ensemble with burgundy leather derby shoes. If you're on a mission for a casual yet stylish outfit, team a burgundy cardigan with blue chinos. As well as totally comfortable, these pieces look great paired together. Dress up this getup with burgundy leather derby shoes.